Garden Wisdom Press, 9780977425181, 325pp. 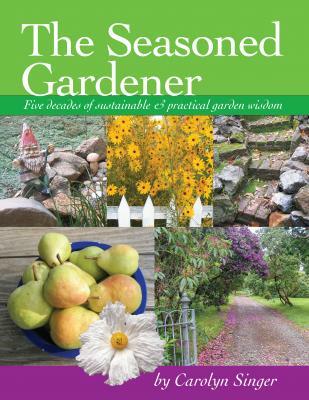 The Seasoned Gardener is written by an organic gardener with more than five decades of gardening experience. This detailed collection of gardening information is organized month-by-month, with a seasonal look at the changes in the garden and the rhythms of gardening. Each month has a list of activities, reminding gardeners to paint fruit trees to protect the bark, or to mulch to conserve moisture, with advice about the effects of each type of mulch and its timing. Written for both beginning and experienced gardeners, the personal and conversational style of writing invites readers to enjoy the book, as well as to use it as a reference guide for edible and ornamental gardening. The book is fully indexed by subject. Another index of plants mentioned in the book is made easier to use by the glossary of common names. The book has been named as a finalist in the Home & Garden division of ForeWord Review’s Book of the Year Awards. chosen chapter for pleasure could very well inspire the reader to pursue a new idea in the garden. That provides a reliable measure of quality for a gardening book. Come for the beautiful pictures. Stay for the useful information! the "Deer in My Garden" series, offers gardeners sensible solutions to this vexing four-legged foothill pest, "The Seasoned Gardener" is filled with hands-on,time-proven answers for gardeners, season by season, including useful planting information. Keep this book handy where visitors can admire the photography, and then get hooked on all the functional, workaday solutions to their garden problems! Fred Hoffman, The KFBK Garden Show & Get Growing with Farmer Fred (KSTE-Sacramento).